Skirts typically use pleats as a way to add fullness from the waist, hip, or hem. Skirts use pleats for both functionality (ease of movement) and as a design element. Kick pleats are commonly used in a narrow skirts to allow for freedom of movement. One or more kick pleats are used at the center front, center back, or side hem to allow for stride. Box pleats, knife pleats, and sunburst pleats are commonly found on skirts as a design element. Typically, a shirt or blouse will have a box pleat or two at the center back to allow for the shoulder blades to move freely. 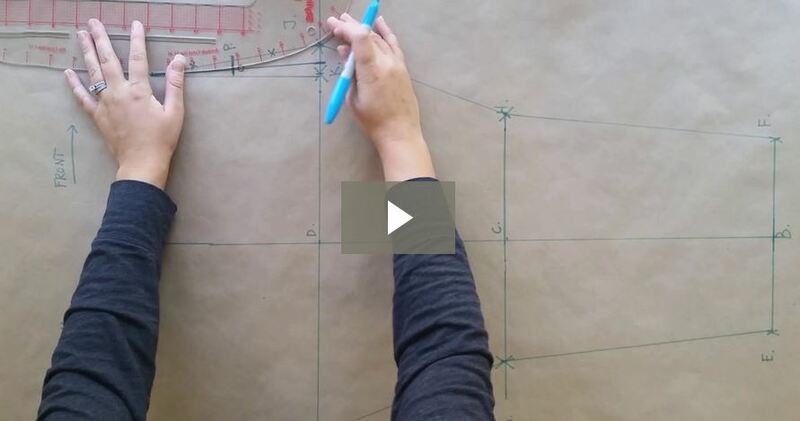 Also, the sleeve of a standard shirt will have a pleat where the sleeve tapers into the cuff. Jackets and jacket linings will generally have an inverted box pleat for similar reasons as the standard shirt, to allow for the back and shoulder blades to move freely. The traditional trouser pant has pleats just below the waistband on the front of the garment. Pleats that open toward the pockets are called reverse pleats and pleats that open toward center front are called forward pleats. On the other hand, more casual styles of pants, like jeans or cargo’s, will have a flat front. However, contemporary styles seen in the marketplace today use a lot of tucks and pleats as a design element. Some pockets use box pleats to allow for the pocket to expand. Think bellow or cargo pocket. Similarly, a lot of bags and accessories will use similar types of construction to allow for expansion. Kick pleats are short pleats that are generally placed at the center front, center back, side, or goreline. 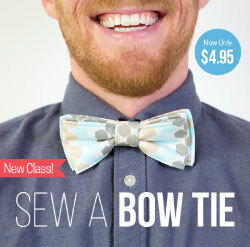 They can either be inverted or box pleats. They are most commonly used at the hem of a narrow garment such as a skirt of long coat to allow for extra stride room. 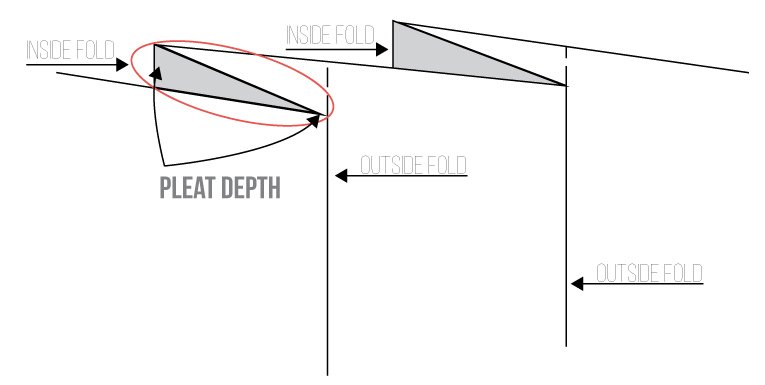 The depth is the distance from the outside fold to the inside fold of a pleat. Underlay is always twice the pleat depth. For example; a 3″ pleat depth = a 6″ underlay. Very helpful. The double inverted box pleat on the skirt reminds me of film noir movies, when the private eye always gets a visit from a glamorous blonde wearing a curve-hugging suit, and the trouble starts! Great idea, I’ll add that to the ideas cache! You too much. Thank you so much, well explained and easy to assimilate. 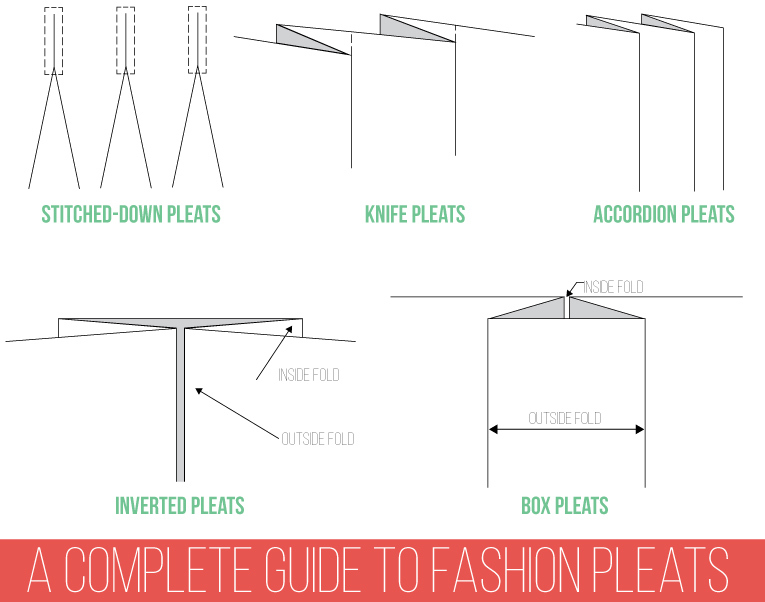 THANK YOU FOR THE SIMPLE WAY ILLUSTRATIONS TO TEACH PLEATS. I just have to say wow and i am extremely grateful to have found this website and i am very surprised with all of the info you have here for free! 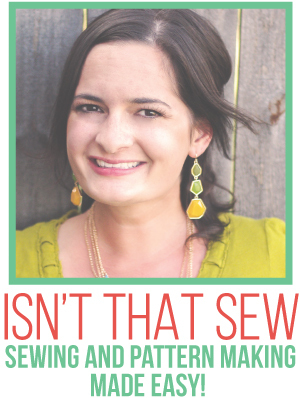 Very informative and i am learning alot, I recently decided I want to pursue fashion design but I can’t afford to go to school so I will be teaching myself and especially thanks to you because I’m learning pattern making too!